(06-Dec) — Reigning Boston Marathon champions, Geoffrey Kirui and Edna Kiplagat of Kenya, have committed to defending their titles at the 2018 edition of the world’s oldest, continuously run marathon on Monday, April 16. 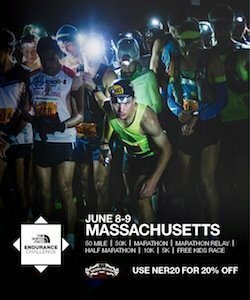 The news came from the event’s long-time sponsor, John Hancock, which both funds and organizes the elite tier of the race in partnership with event founder and owner, the Boston Athletic Association. The 2018 race will be the 121st edition, always held on the third Monday in April. Both Kirui and Kiplagat scored convincing victories at Boston last April. Kirui, who went on to win the world marathon title last August, won last year’s men’s contest in a late race, two-man battle against American Galen Rupp. He clinched the win by running 14:34 for the segment between 35 and 40-kilometers., stopping the clock at 2:09:37. He won $150,000 in prize money. Kiplagat got her first Boston title with an explosive move at the 30-K mark, covering the next five kilometers in a snappy 16:01, which included the legendary climb up Heart Break Hill. Like Kirui, she also competed in last August’s IAAF World Championships and won the silver medal. The two-time world marathon champion also raced the TCS New York City Marathon last month, taking fourth. The Boston Marathon is part of the Abbott World Marathon Majors, the premiere series of marathon races which includes the commercial marathons in Berlin, Boston, Chicago, London, New York, and Tokyo plus the Olympic Games and IAAF World Championships marathons in the years those events are held. The Majors are currently in the middle of Series XI which will conclude at the 2018 Virgin Money London Marathon.